LVI recently exhibited at the Argentum trade show in Nashville, TN. Argentum is the largest trade show in North America focusing on the Assisted Living Industry. Tom Bennett and Brian Lake attended the show and were able to meet executives from some of the larger Assisted Living companies. By 2030, the Senior population will double to 70 million, or 20% of the US population. As a result, Assisted Living centers are expected to see substantial growth as well. 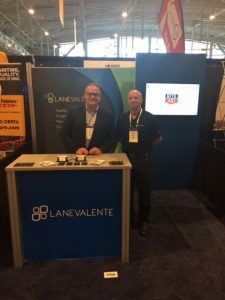 Lane Valente is working to position ourselves to service this industry and meet its Facility Maintenance, Construction and Energy Efficiency needs.